1. A mason jar that'll not only add some fun to your kitchen counter, but give it that country-chic feel you've been craving. 2. Agate coasters, so you can show off your fabulous taste in decor while kindly asking your friends not to leave water rings on your nice table. I have these coasters in rose quartz and they are fantastic. For anyone who loves crystals, buying these as an accent to your kitchen decor is a no-brainer. They are stunning to look at and, due to the nature of agate, each one is slightly different. Get it from Anthropologie for $14 each (available in eight colors). 3. Pink oven mitts to go purrfectly with your already gorgeous kitchen decor. Get them from Amazon for $15.99 (available in seven styles). 4. A Dutch oven, so you can simmer, marinate, braise, and brown but make it ~fashun~. Get it from Bed Bath & Beyond for $144.99+ (available in four sizes and 13 colors). 5. Colored-coded knives you'll love because they'll keep you organized while preparing a big dinner. Get a set of 12 from Amazon for $21.51. 6. Silicone bakeware to replace your crusty, burnt, old ones you've been debating throwing out for months. Get a set of 18 from The Home Depot for $25.05 (available in three colors). 7. Pretty pastel cooking utensils that'll add a little ~somethin' somethin'~ to your usual routine. Get a set of nine from Amazon for $27.45+ (available in two colors). 8. A brightly colored bowl to serve up a stylish look in your kitchen, as well as fresh fruit. Get it from Anthropologie for $58 (available in two styles). 9. A whimsical trio of jars, sure to be a ~hoot~ no matter where you put them in your kitchen. Get a set of three from Amazon for $34.95. 10. Or a simple cookie jar you can use to store your favorite sweet treats. Get it from Amazon for $21.95 (available in two colors). 11. A 10-piece set of cookware that'll make you feel as royal as the blue featured on each pot and pan. Get a 10-piece set on sale from BuzzFeed's Goodful line, exclusively at Macy's for $104.99 (originally $214.99). 12. Colorful canisters, because why not add a modern aesthetic to the way you store your rice, cereal, or sugar? 13. Multi-colored mixing bowls, a must-have for any baker in need of some culinary inspiration. Get a set of five from Amazon for $28.99 (available in four styles). 14. Floral napkins that'll make you feel like you're eating at a boutique hotel in a tropical paradise instead of your one bedroom apartment. Get a set of four from Anthropologie for $40. 15. A bread box, because your carbs should be given the utmost respect. 16. And a pale blue toaster, so you'll have yet another excuse to shout "LET'S GET THIS BREAD" every morning. 17. Pyrex storage containers with an array of colorful lids can keep your leftovers fresh while making your fridge look like a rainbow. Get a set of 18 from The Home Depot for $30.63 or Amazon for $38.39. 18. A juicer you'll appreciate for the fact it's just like your green juice — prettier than it tastes. 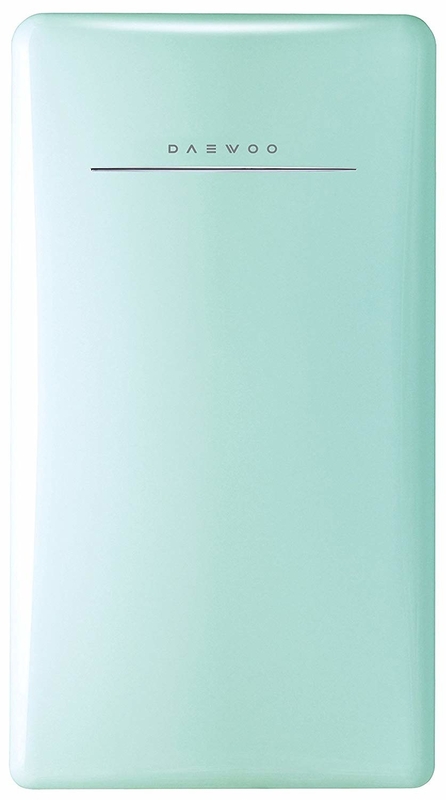 Get it from Amazon for $159.95+ (available in five colors). 19. Gorgeous measuring cups, so stunning you won't even want to use them because you'd rather admire their beauty. Get a set of four from Amazon for $12.86+ (available in two styles). 20. A five-piece set of kitchen tools in a variety of fun colors, because we all know everything is better as a miniature. Get a five-piece set on sale from BuzzFeed's Goodful line, exclusively at Macy's for $14.99 (originally $21.99). 21. Silicone sponges to replace your nasty, water-logged sponge with ones that are both functional and fashionable. Get a pack of two from Amazon for $14.97+ (available in packs of two or four and in three styles). 22. A rapid egg cooker that comes in a variety of beautiful colors, because the most important meal of the day is deserving of such detail. Get it from Amazon for $16.19+ (available in five colors). 23. A Rifle Paper recipe tin, so you can safely store all of your grandparents' classic meals and add some color to your plain kitchen counter. 24. An electric kettle, perfect for anyone looking to host a tea party but doesn't want to splurge on an overpriced ceramic teapot. Get it from Amazon for $58.99+ (available in six colors). 25. An adorable mini waffle maker that is so precious you'll want to channel your inner–Leslie Knope and use it every day. Get it from Urban Outfitters for $18 (available in three colors) or Amazon for 9.99+ (available in nine styles). 26. An abstract decanter for your floating kitchen shelves, to make anyone who visits your home say "wow, you really have an eye for art." Get it from Amazon for $48 (available in three styles). 27. Mini colorful bowls, so you can attempt to keep your spices in order while testing out that Chrissy Teigen recipe you've been eyeing. 28. Copper-coated stainless steel utensils for a quick upgrade to the boring, mis-matched ones taking up space in your drawers. Get a set of seven from Amazon for $31.99+ (available in six colors). 29. 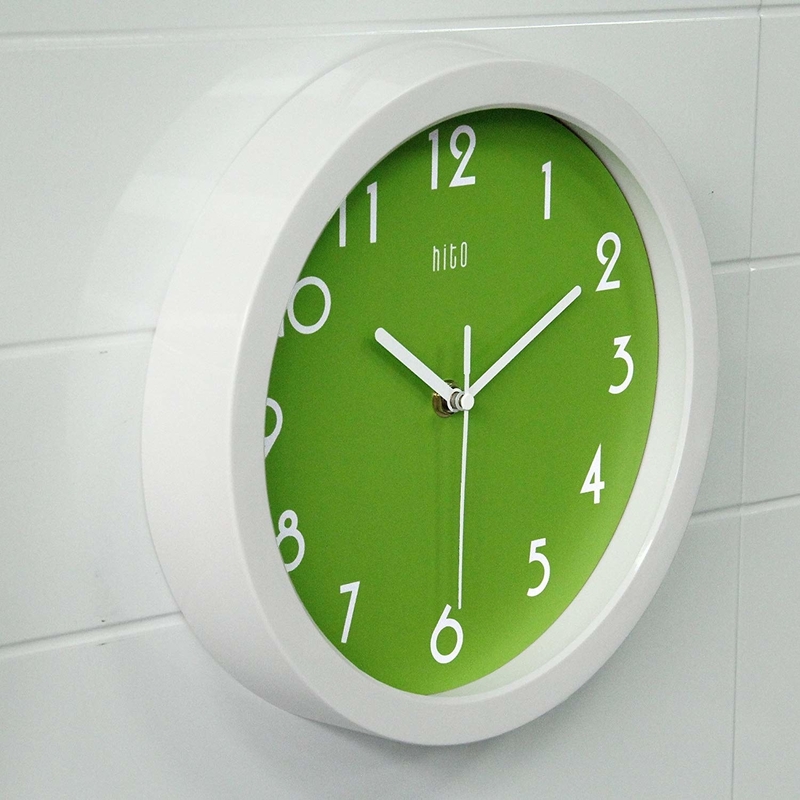 A clock that is notably silent, essential for adding some color to your walls without that irritating ticking sound. Get it from Amazon for $16.99+ (available in nine colors). 30. A lavender frying pan you'll ~flip for~ each time you whip it out to make an omelette or grilled cheese. 31. A tropical-printed dinner plate, for when you want to take a ~walk on the wild side~ during a meal. I have melamine plates in a similar print from Anthropologie and they always add an extra colorful element to my dinners at home. You can toss 'em in the dishwasher, but don't microwave them! Get it from Anthropologie for $10 each. 32. 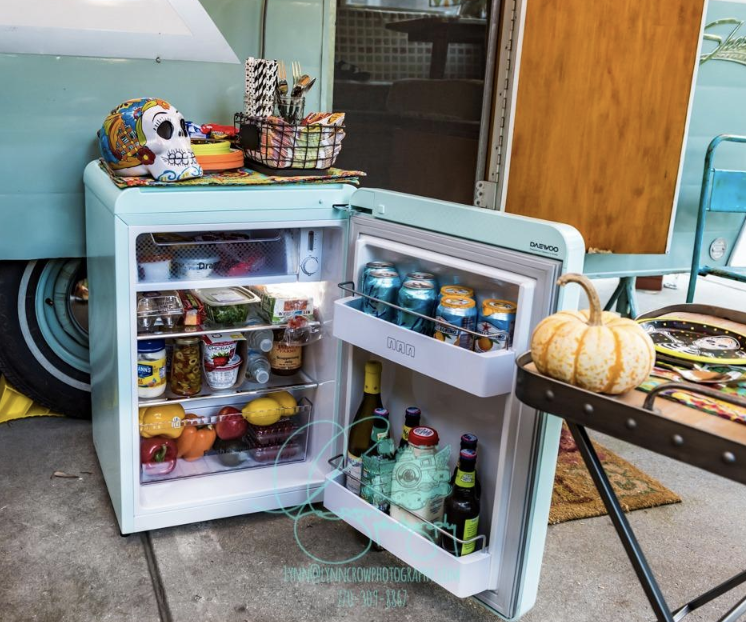 A retro-style mini fridge, because it's about time you make the teen version of yourself jealous. Get it from Amazon for $199.99+ (available in two sizes and five colors). 33. A KitchenAid Artisan Series 5-quart stand mixer that deciding the color of may be the hardest choice you make in your adult life. Get it from Amazon for $279 (available in 55 colors). 34. Or a KitchenAid hand mixer, in case you're not ready to make a lifelong commitment to a baking accessory. Get it from Amazon for $39.95 (available in 16 colors). 35. Jeweled magnets, so you can add some extra ~bling~ to fridge. Get a pack of 21 from Amazon for $14.50. 37. Reusable plastic cups, in case you want to be a little more eco-friendly the next time you invite your squad over to pre-game. Get a set of eight from Amazon for $15.99. 38. 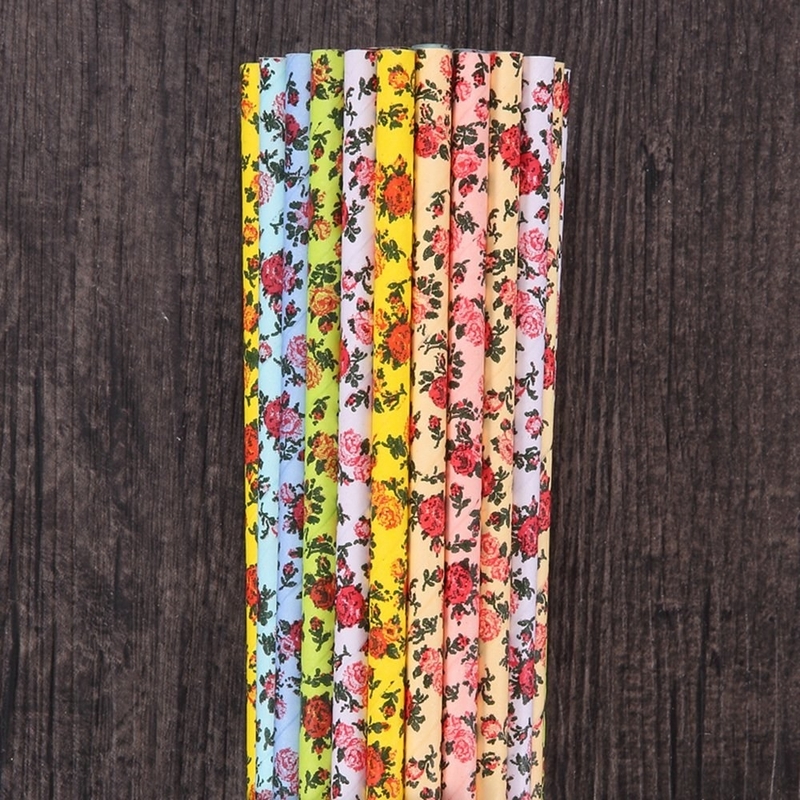 And an assortment of floral paper straws that'll look as chic sitting in a jar on your countertop as they will in your guests' drinks. Promising review: "Great product! Happy and colorful, fun to use. I’ve had no issues with them getting soggy and I’ve left them in a drink for hours. 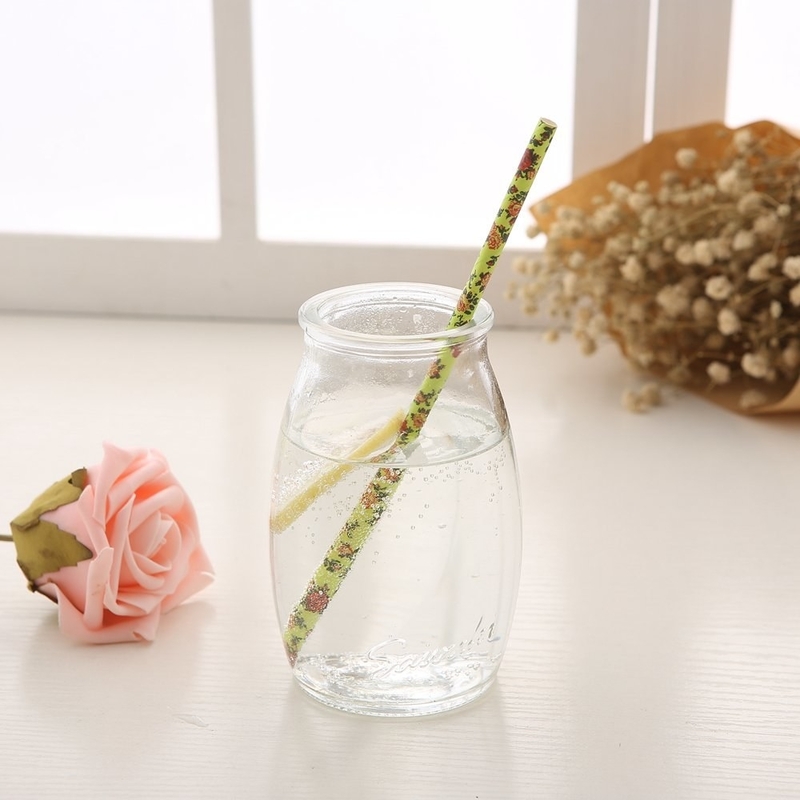 I take them everywhere so I don’t have to use plastic straws anymore. It’s great." —Lisa B. Get a pack of 175 from Amazon for $7.98. Now that's what I call a pop of color.